But now I won’t be able to blog my galette probably isn’t the best response to being burgled, but thankfully my camera was overlooked in favour of a broken laptop, Ben’s rancid trainers, one slice of bread inside a sandwich bag (in case of toast emergency), tupperware and other equally valuable items. 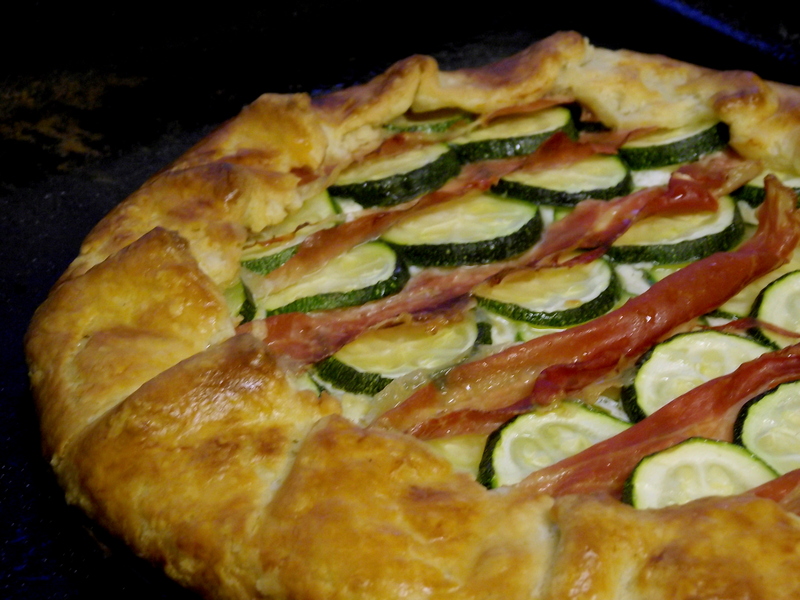 Which is lucky, because it was really rather nice, sort of like a posh pizza but with soft, flakey pastry. 1. 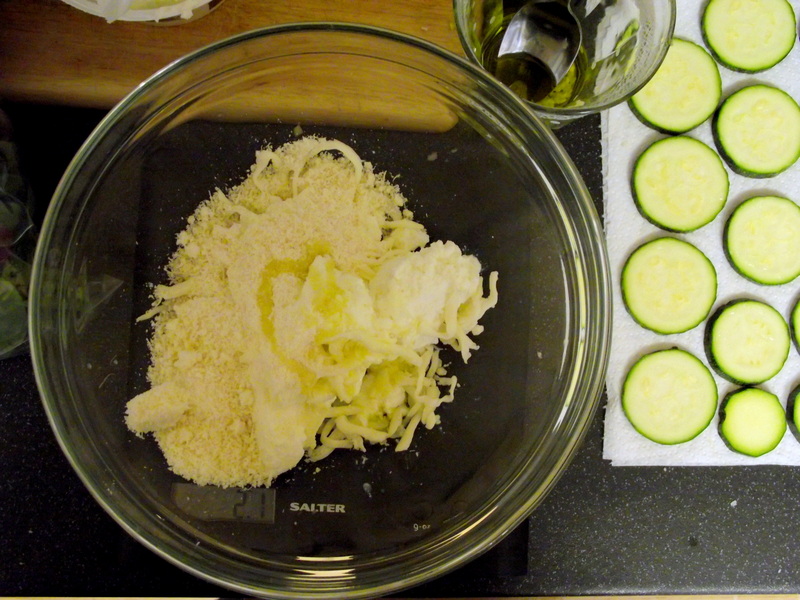 Rub together the flour, salt and butter until it resembles rough breadcrumbs. In a small bowl, mix together the sour cream, lemon juice and water then add this to the flour. Gently mix until it just begins to clump together, then bring together in a piece of cling film and chill for at least an hour. 2. 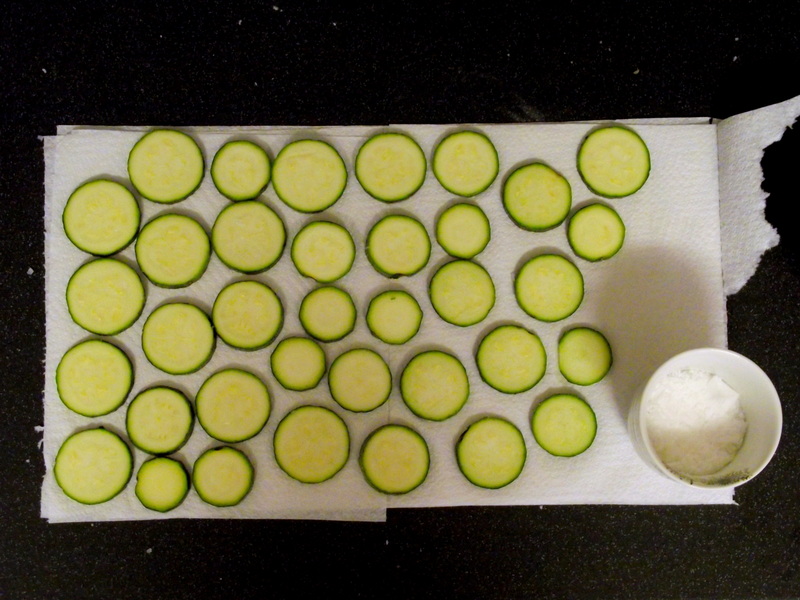 Spread out the courgette rounds on a couple of layers of kitchen paper. 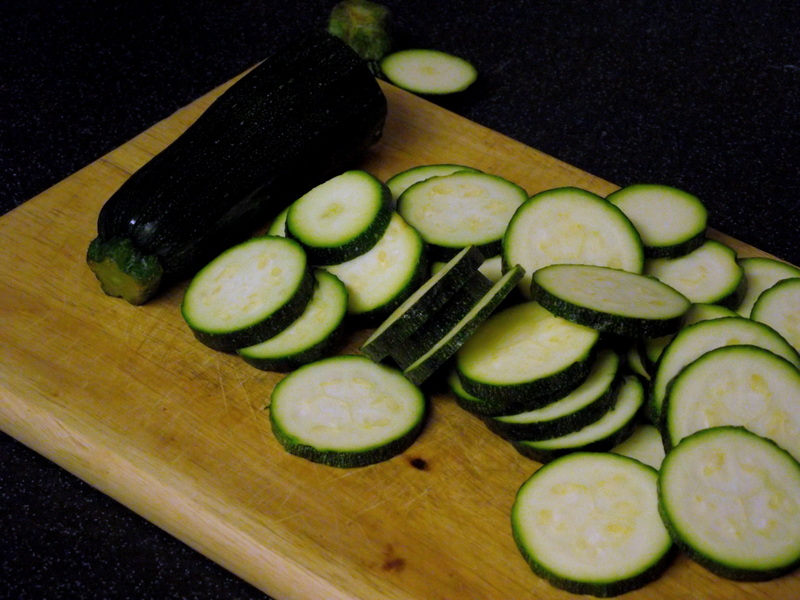 Sprinkle over a large pinch of salt and leave for 30 minutes. Blot the tops with kitchen paper before using. 3. Chop the garlic and add it to the olive oil. In a medium bowl, mix the cheeses, thyme leaves, and one tsp of the garlicky oil. Season with salt and pepper. 4. 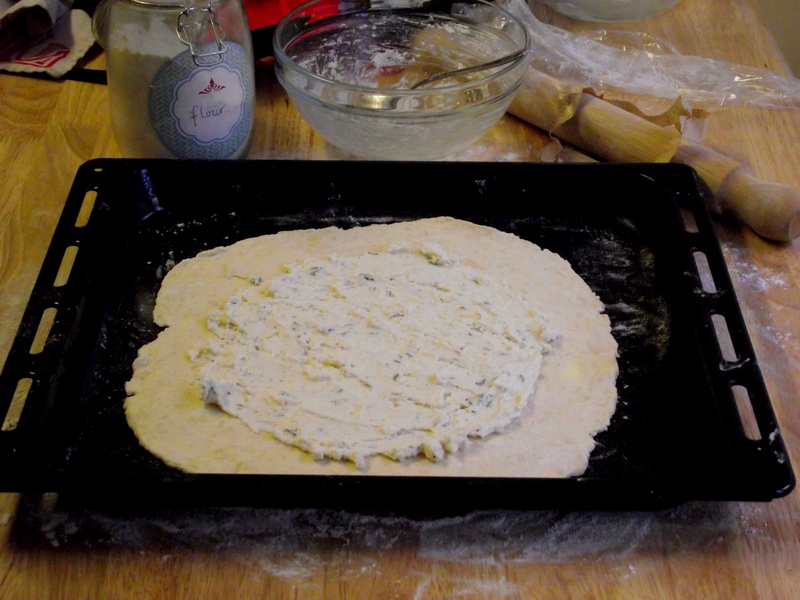 Roll out the dough on a floured surface into a 12 inch circle. Transfer to a baking sheet and spread with the ricotta mixture, leaving a 2 inch border. 5. 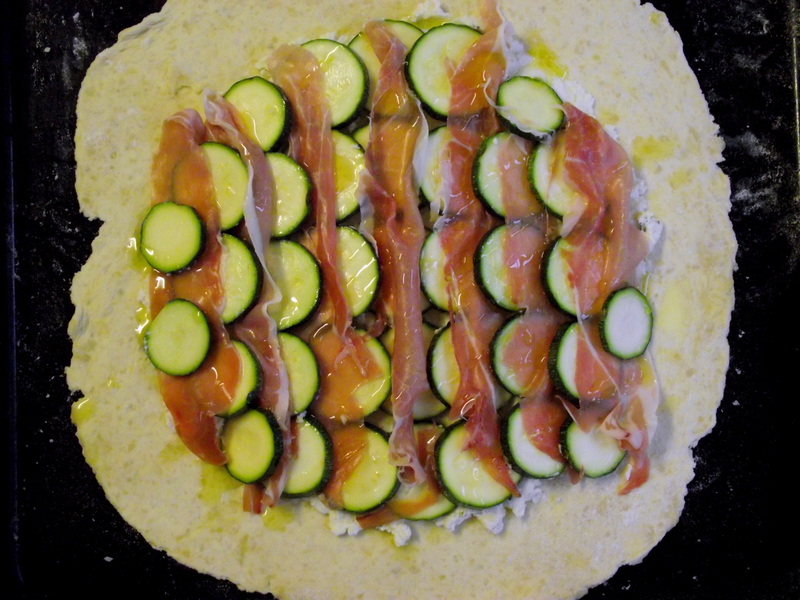 Lay the courgette slices on top, tucking under slices of prosciutto. 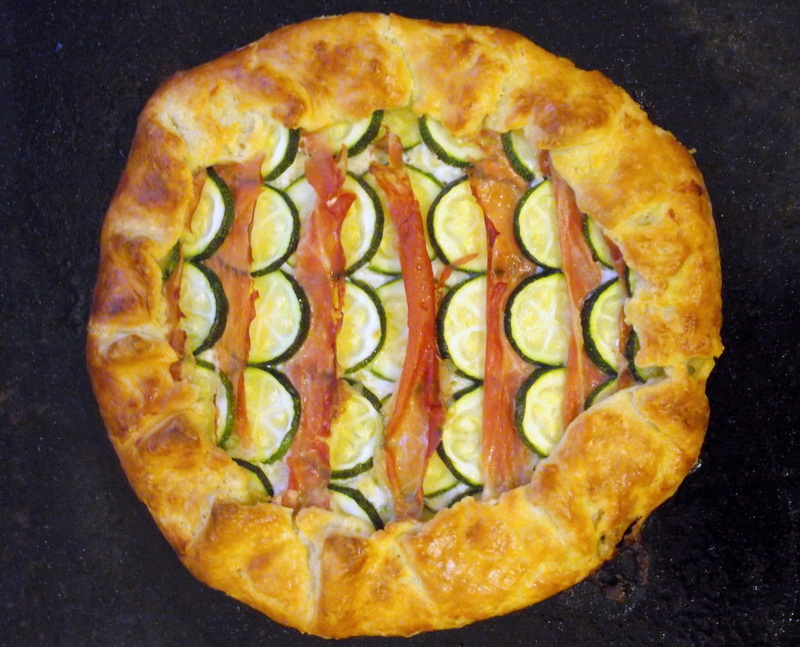 Drizzle with the remaining olive oil then fold over the border, pleating the pastry as you go. 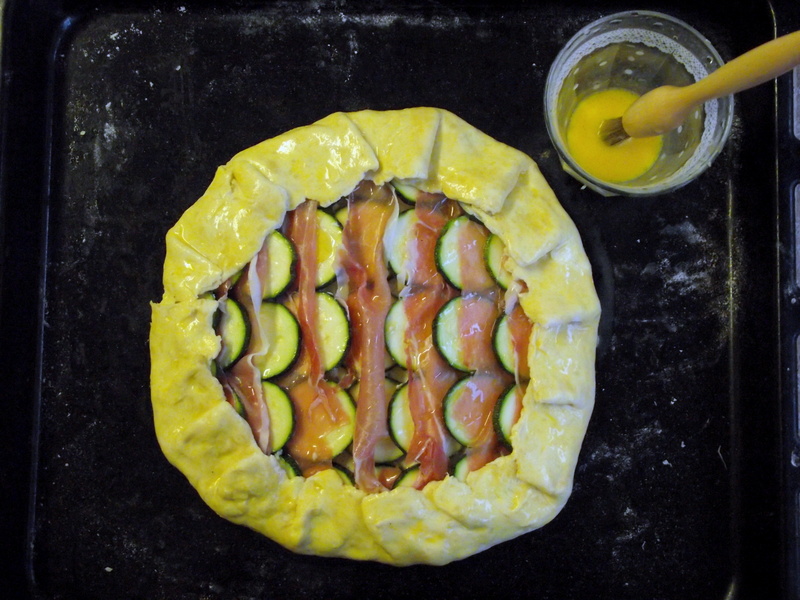 Brush the edges with the egg yolk glaze. 6. Bake at 200C for 30-40 minutes, until the pastry is golden brown. Lock your windows.